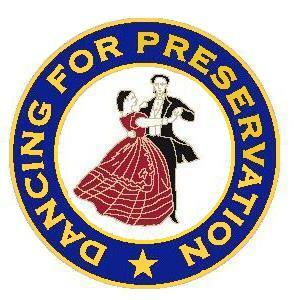 The Civil War Dance Foundation is pleased to announce the release of its Introduction to Civil War Dancing DVD. Ladies and gentlemen in period attire swirl around the beautiful rotunda of the Pennsylvania State Capitol Building in Harrisburg, Pa., to the music of the Fort Delaware Cornet Band. Each dance is shot from floor level and above to better show the formations, moves, and synchronization of the dances. Dances at the Ball: Grand March, Soldier’s Joy, Lancer's Quadrille 1st Figure, German Waltz, Money Musk Reel, Sicilian Circle, Lancer's Quadrille 3rd Figure, Virginia Reel, Tempest, Lancer's Quadrille 5th Figure, Gothic Dance, Spanish Waltz, Empire Quadrille, Swedish Dance, Waltz Quadrille, and La Boulangere. In the instructional part, filmed at the Cumberland County Historical Society in Carlisle, Pa., dancers in modern attire (so moves can easily be seen) demonstrate moves used in dances, including various turns, circles, stars, chains, promenades, and pass throughs. The counts are shown on the screen as each move is described in detail. The dancer couples are in the same color tops to better see who is interacting with whom. Five complete dances are also demonstrated: First Figure of the Lancer’s Quadrille, Tempest, Money Musk Reel, Spanish Waltz, and German Waltz. 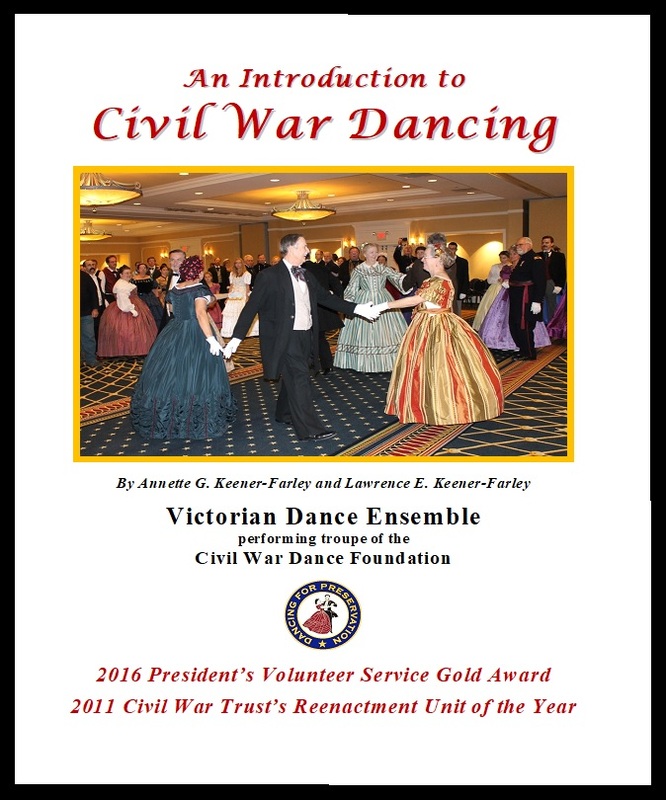 Included on the DVD is a 38 page PDF dance manual with written descriptions of the dances and information about Civil War era dancing. Send to: CWDF Video, 2 Westminster Blvd., Camp Hill, PA 17011. Email Contact@CivilWarDance.org if you have any questions. The CWDF has a dance manual available in PDF format by email. This booklet was originally produced for a seminar at the Civil War Trust’s Teacher Institute. It has been revised and updated several times. It is designed to give basic instruction in several mid nineteenth century formation dances. If you would like a free copy, email us at Contact@CivilWarDance.org. Please include your name, city, state, and name of your Civil War or other type of group (if any).